Wild King Salmon filet with a touch of brown sugar added during the curing process. 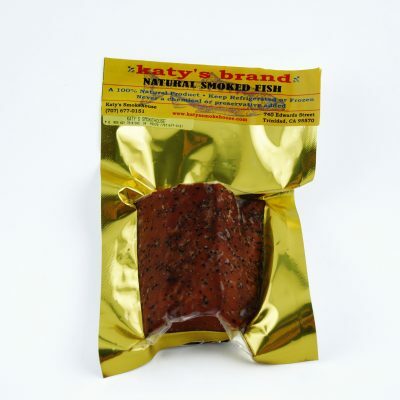 It’s not sweet. 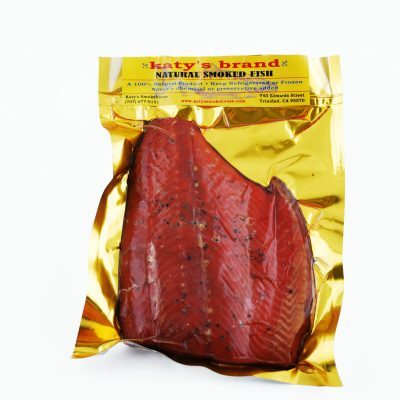 The brown sugar just compliments the natural richness of the Salmon. 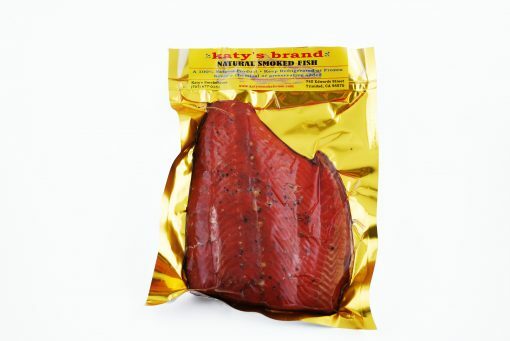 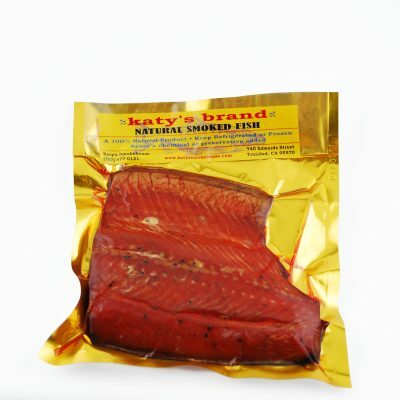 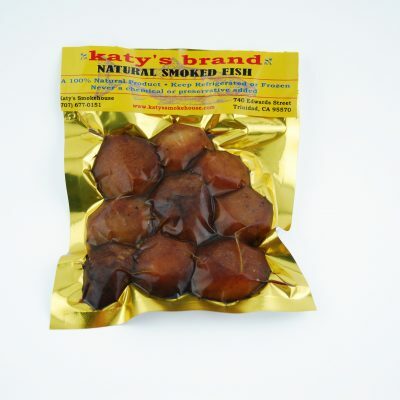 Katy’s carefully hand smokes the filets with alderwood to produce a medium moist smoked salmon.